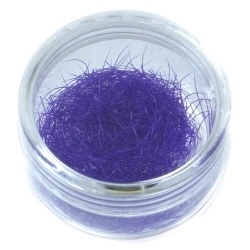 This black adhesive is used when one wants to stick eyelashes very close to one another very fast. Professional stylists love this and it is indispensable for the XD Volume technique. This technique calls for an adhesive that dries very fast with fine viscosity for two different reasons. 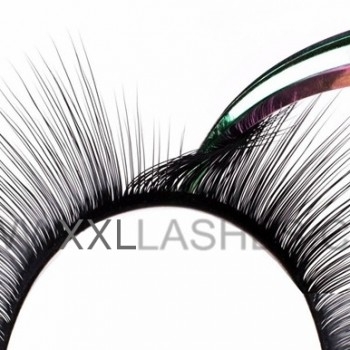 The quick drying time is required so that the selected false eyelashes that are placed adhere quickly and one can let go off them and the fine viscosity prevents them from sticking to the neighbouring eyelash. 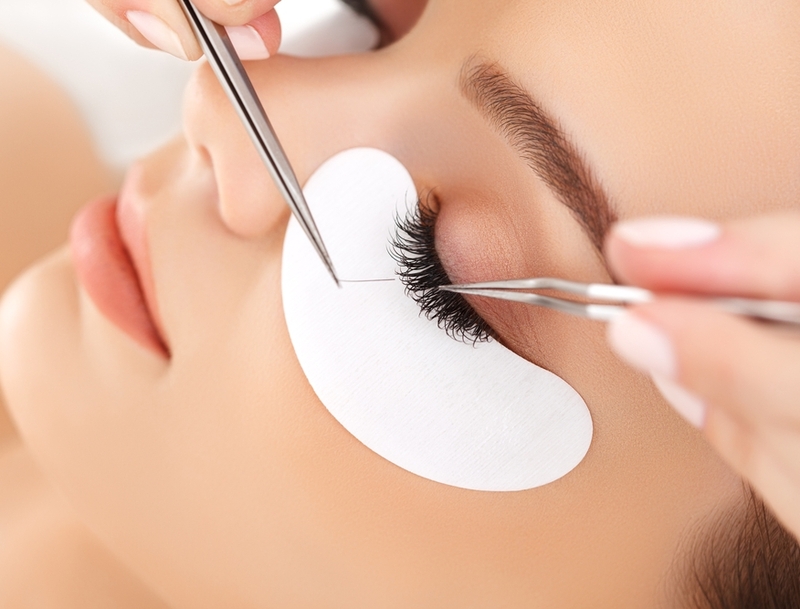 Any eyelash adhesive requires about 24 hours to dry completely even if adhesion has taken place within the first few seconds. After this it is no longer possible to move the false eyelash extension on the natural eyelash or to remove them without the help of a removing agent. Quick drying time also means that the drop of adhesive dries quickly even on the jade glue stone or in the glue ring. If the viscosity of the drop of adhesive thickens while working do not use it for further application, continue work necessarily with a new drop of adhesive. As a rule, the top most drop is the freshest in jade or glass glue stones. Like all water-proof eyelash adhesives the Ultra adhesive too contains Cyanoacrylate. Some clients fear the worst from this but the fact is that the special ester in the Cyanoacrylic acid is also used in the field of medicine for wound closure instead of sutures. 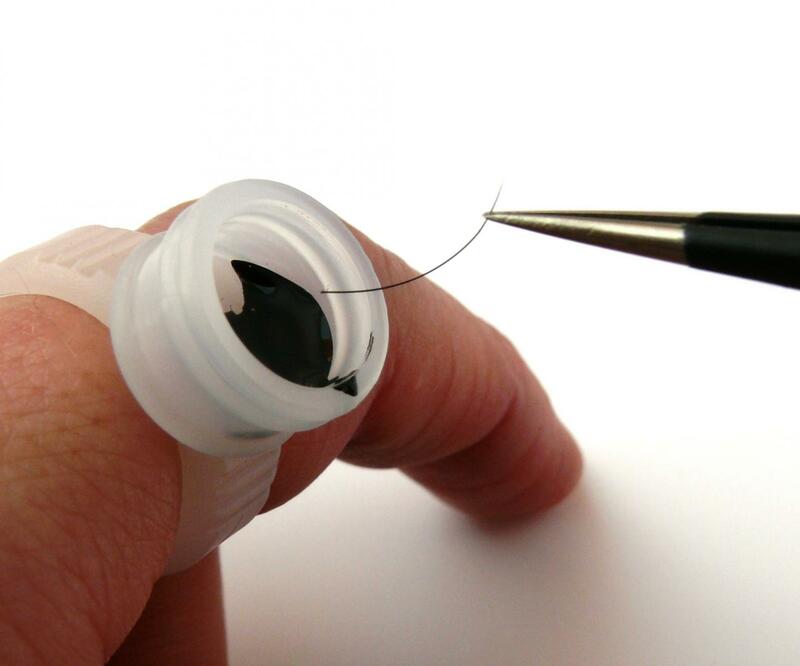 Cyanoacrylate is approved for use in treating wounds since 1998 in USA since it is especially effective for closing lacerations. Cyanoacrylate is not carcinogenic. Strong bonding means also strong fume. Therefore, this glue is not recommended for the self application, which needs to be done with opened eyes. It might happen that these fumes make your eyes burn or tear. 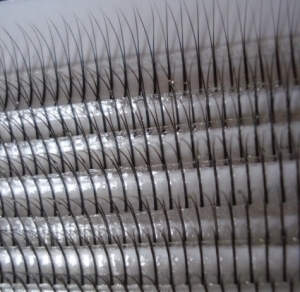 This adhesive is recommended only for an Eyelash Professional, who applies eyelash extensions at an closed eye. Many users prefer this glue because of its long lasting result. Some protect the eyes with drops to prevent tearing. 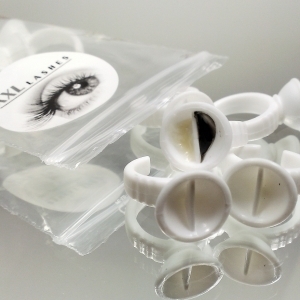 In case a non fuming adhesive is preferred, then the XXL Lashes Adhesive is the better choice. What is the lifetime of an adhesive and how does one store them? It is important for it to be stored in a cool and dark place, preferably between 15 and 21 degrees, for long life. Exposure to sunlight, heat and air shorten life and is therefore to be avoided. The vial has to be closed properly again immediately after use but not before wiping the neck of the bottle clean. Do not store it in a refrigerator since temperature fluctuations cause condensation in the bottle and shortens the life of adhesive. Mild adhesives last for up to 12 months provided sealed and for about 4—6 months after opening the bottle. Stronger adhesives last for 7—10 months in a sealed state and for 2—3 months after opening.